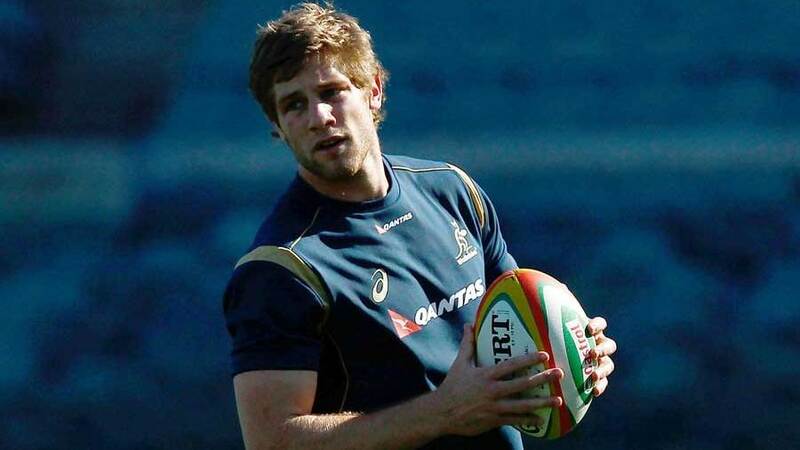 Kyle Godwin, like any Australian rugby player with Test ambitions, hopes to play for the Wallabies at the Rugby World Cup. But the uncapped centre wants nothing more than to "get through this season injury free" after his past two campaigns were cruelled by knee and shoulder issues. The Zimbabwe-born former Australia Under-20 playmaker seemed certain to tour Europe with the Wallabies in 2013, only to sustain a season-ending shoulder injury, and a low-grade tear to a posterior cruciate ligament ruled him out of contention for the squad that swept France in June 2014. He was subsequently called into the Wallabies squad by then coach Ewen McKenzie, and he finally toured Europe, 12 months later than planned, under Michael Cheika. Godwin did not play, but Cheika has recognised him as "a special player" and the tour experience excited the playmaker with the World Cup on the horizon. "The [Wallabies] call-up was very surprising," Godwin told The West Australian in Perth on Thursday, noting that he had played only three National Rugby Championship matches for Perth Spirit in his return to action. "I felt a bit underdone to be honest but if the opportunity is there you are going to take it. "It was an unbelievable experience. I was disappointed that I didn't get on the field but I took a lot out of it. There is a hunger for more but at the moment it's all about training with the Force and our season ahead. "Since coming out of school I've had a few disappointing injuries that have put me back a bit. But hopefully I can get through this season injury free."